“Stories have to be told or they die, and when they die, we can’t remember who we are or why we’re here.”— Sue Monk Kidd. Here at BFL, we like Kidd, believe that stories need to be told in order to help us remember who we are and why we are here. For us, at this moment in time, the stories we think are the most compelling – to tell -and to listen to – are the stories of baptism. Your stories, our stories, and the stories of our faith ancestors. To that end, we will be sharing a host of baptism stories here in this communal space. Stories that we believe can help us better discern who we are and why we are here, and how our baptisms can help us create lives of meaning and purpose. – Jerusalem Greer, Project Evangelist. I’ve been thinking about this a lot lately, as I prepare to become a fully-invested member of the Episcopal church in early May. I won’t be baptized as an Episcopalian. That’s probably a good thing, since I have been been baptized twice already (first as a Presbyterian at age 12, and again as an American Baptist at age 49). But I will say this, I never thought more about my baptism nor learned more about that baptism than I have since I began my time hanging out with Episcopalians. That’s right. 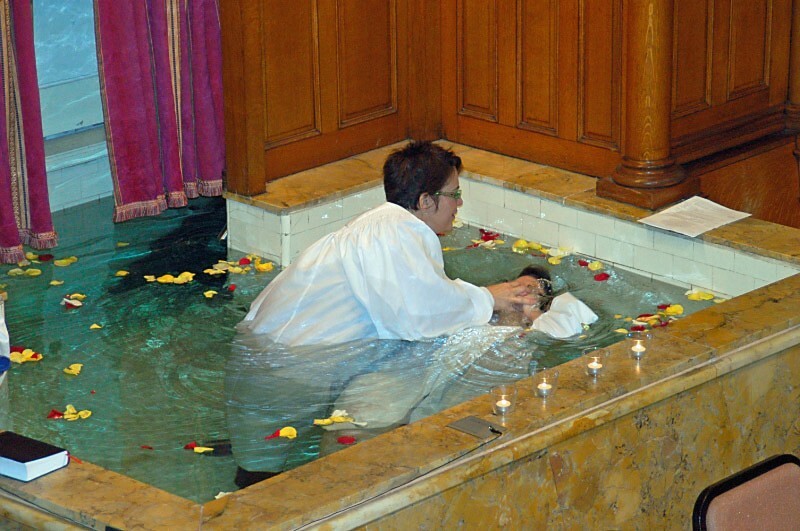 Even though my last baptism was a full-immersion baptism in a Baptist church, I’ve learned more about baptism and in particular the idea of the ministry of the baptized since I began this Episcopal part of my journey. Truthfully, the Baptists I was in community with simply didn’t talk about it. You could do it or not (if you had been baptized elsewhere); there was just one simple question to ask — the infamous “do you accept…” question. It was not a sacrament. There was no preparation for it, except one voluntary “agape” meal the night before, and there was no guidance afterwards. The only transformation expectation attached to the act by the community was that of community affiliation — now you are really one of us, they would say. But they said that to everyone who came forward to join, so, what was the purpose? Imagine my surprise, my first day worshiping at the seminary, when together we re-affirmed our baptismal covenant. I will never forget it — it was like I was baptized yet again for the very first time. Bishop Shand presided and we sang my favorite hymn, “Great is thy Faithfulness.” I was in tears, because of all that, and because of the profound commitment to a life of faith contained in the words of that covenant, which I had never before seen. Somehow, what I learned that day, however, made me understand the commitment that I was making years before when I chose to be baptized a second time. I didn’t have words for it that day, but I was making a deeper commitment than the community then was asking of me. I was getting ready for a full understanding of what it meant be baptized and to live into that ministry.